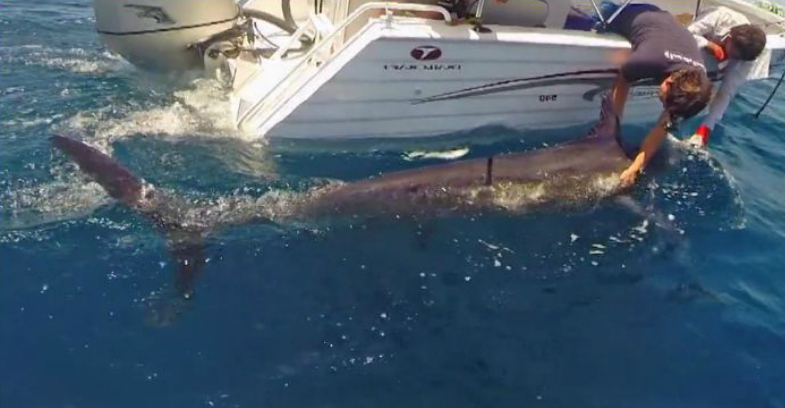 These guys had a small tuna on when a 600lb black marlin engulfed it. The fight went on over two hours before they tagged and released the fish. I wrote about it and included the video at WOS.